Mrs. Lewis helped Skip deliver 322 toys to the Pediatric Specialty Services of Wilmington, located in the Zimmer Building at NHRMC. Skip Wittkofsky has been helping this program for the past ten years. The Pediatric Specialty Service is a programs that helps children with every type of illness. 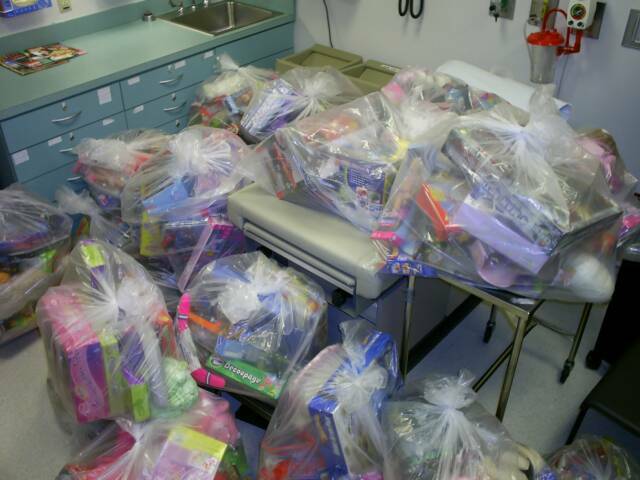 The collected toys are given to the children when needed, whether it is a birthday or just a bad day, the main goal is to put a smile on a child's face. 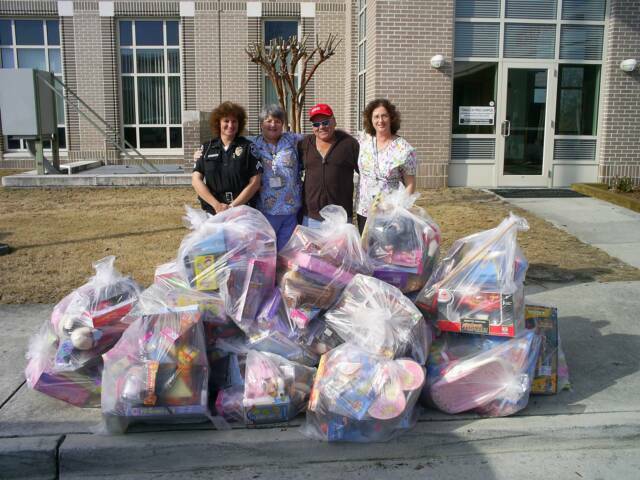 Last year Skip delivered about 200 toys. The toys are collected by companies Skip contact each year. Skip looks forward to giving more toys this coming year, as each year they have collected more, this coming year should be even better. Skip would like to give a special thanks to Gold's Gym (Odgen) for their participation this year. 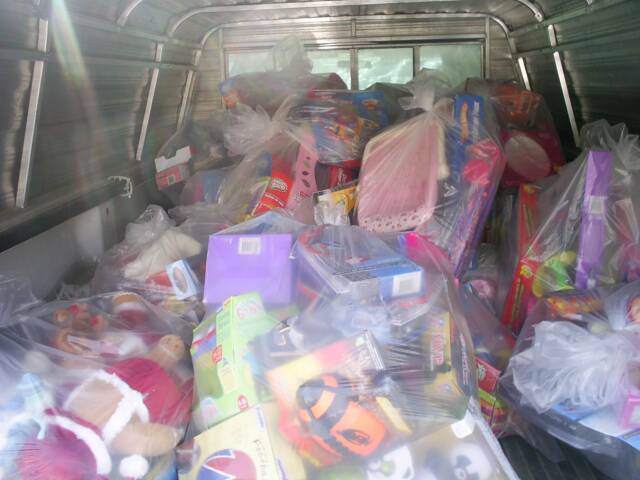 The truck used to move the toys had very little room left, thanks to the generous donations this year. This room may be filled, but hopefully, next year we will need two rooms! !